Chicken soup isn’t just good for the soul. Bone broth has a number of healing properties for your body as well. This wonderful elixir has been touted as an incredible healer and nutritive food that is easy to digest and fairly easy to make at home. This simmering causes the bones and ligaments to release healing compounds like collagen, glycine, and glutamine which are key to a healthy body. And it promotes healthy hair and nail growth! The most important thing to consider when making bone broth at home is to use the best quality bones you can find. You want to use bones from an animal that has been treated fairly and fed an organic diet, otherwise any toxins that the animal took in could leach into your broth. Contact me for some reliable local resources in Vancouver and the Sunshine Coast if you’re interested! 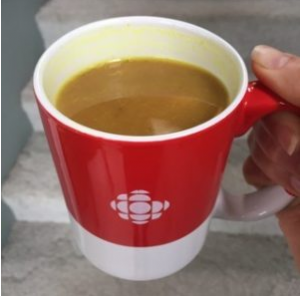 I like to drink my homemade bone broth with some sea salt, black pepper, turmeric and an egg yolk for breakfast. A bit unorthodox but a really nice, grounding way to start your day and very easy on your digestive system as well. Place the bones in a roasting pan. Roast the bones at 400 °F for about an hour until the bones are well-browned. Drain off any fat and add the bones to a big pot along with the vegetables. Add filtered water to cover and bring to a boil. Once you’ve brought the water to a boil, add the vinegar and bay leafs. Turn down the heat and continue to simmer for several hours. I usually simmer mine about 48 hours. Or pop it all into a slow cooker. When the stock is finished simmering, filter through a fine mesh sieve and bottle in mason jars. The stock should set just like gelatin, and the fat should rise to the top. 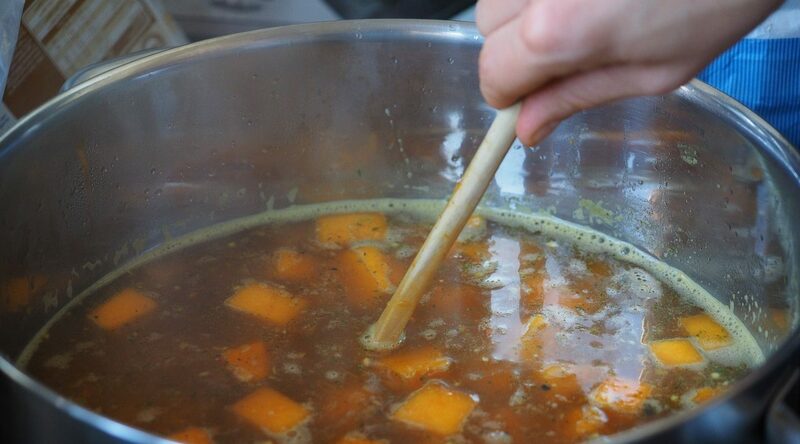 Pick off the fat and reserve it for cooking, then scoop out the gelled stock and reheat to serve as soup. The broth will keep in the fridge for about a week and up to a month in the freezer. Toby Rae is a Registered Holistic Nutritionist, yogi, nature lover and self-proclaimed fermentation nerd. She is passionate about healing from the inside out with whole, nutritious foods and providing her clients the skills and tools to lead a whole-foods lifestyle. Toby Rae is a Registered Holistic Nutritionist, yogi, nature lover and self-proclaimed fermentation nerd. She is passionate about healing from the inside out with whole, nutritious foods and providing her clients the skills and tools to lead a whole-foods lifestyle.